After a rare second round Saturday for the 18s, in which the top 22 seeds advanced into Monday's third round, the 16s had more typical results Sunday, with one top 8 seed, two top 16 seeds and five 17-32 seeds going out in the second round, their first matches matches of the tournament. Another gorgeous summer day in Kalamazoo opened at Stowe Stadium with No. 17 seed Tyler Zink losing 6-4, 6-2 to William Gleason, and the seeds fell regularly throughout the day's play. No. 2 seed Christian Alshon was in trouble against Benji Jacobson, dropping the first set before recovering for a 3-6, 6-3, 6-3 win. "Mainly what happened in the first set was my returns were off and his serve was on," said Alshon, a 16-year-old from Florida. "It was very hard for me to break him and he had a couple of good break games against me. So in the second set, I just decided to find a way to get that return in. And the same with the serve, just get the serve in and get into the point, which is when I was doing my best." Alshon was standing back at the windscreen and then moving forward to keep the left-handed Jacobson guessing. "It was kind of just a technique," said Alshon. "The guy doesn't know where to serve and it makes him a little more tight." With Alshon serving at 2-2 in the third set, he saved a break point, and two points later Jacobson pulled up with a left foot injury. He received a medical timeout at the changeover, and continued to play, holding serve to make it 3-3. After a quick service hold from Alshon, Jacobson got down 15-40, only to save both break points with aces. But an unforced error, rare for Jacobson earlier in the match, gave Alshon a third break point, and this time the serve betrayed the 16-year-old from Michigan, with a double fault giving Alshon a chance to serve for the match. "My biggest struggle with him was his serve," Alshon said. "His serve, on this surface, with the spin, was very difficult for me to get back. With his injury, he still served well, so it like the previous sets." Alshon served out the match, and was happy to win his second match in Kalamazoo, having lost in the third round as the No. 14 seed last year in his tournament debut. "It's tight," Alshon said of the experience of playing on a front court at Kalamazoo. 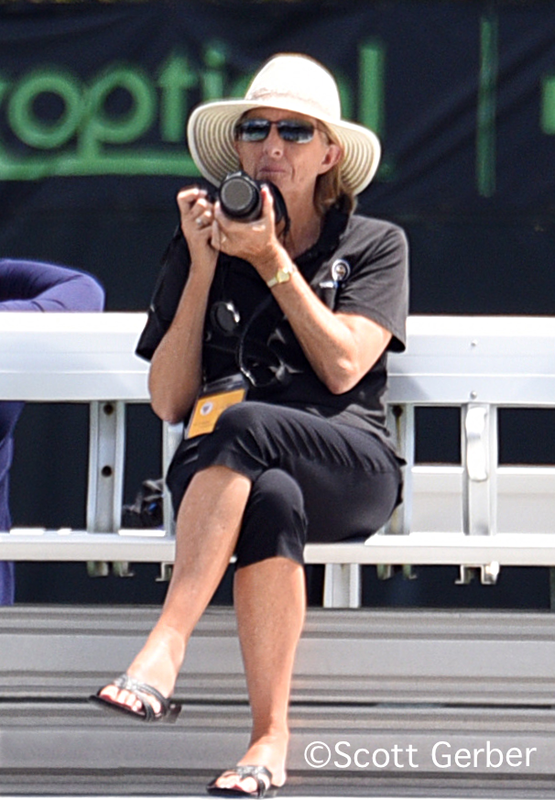 "The little ball kids are adorable, the refs, people cheering for you and against you. It's fun. I thought it was more fun than feeling nervous." Alshon reached the semifinals in the 18s division at the Clay Courts just two weeks ago, but did have an opportunity to get in some hard court play in at the National 18s Team Championships in Champaign last week. "That was very good practice and I came here straight from there and trained more," said Alshon, who won the 16s Winter Nationals this year. "But it's still weird to switch surfaces." Top seed Lukas Greif, who won the 16s Clay Courts, also appeared to need a bit of an adjustment to the hard courts, but he came through with a 7-5, 6-3 win over Campbell Irwin. No. 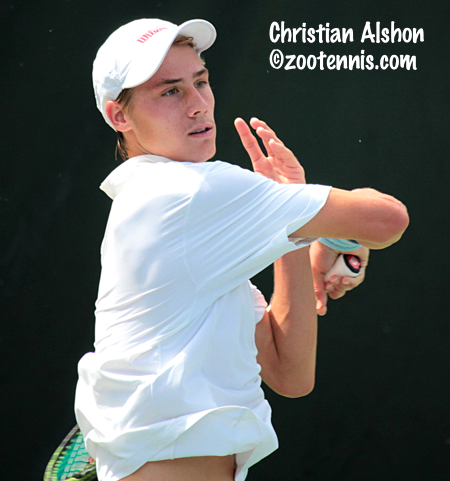 8 seed Adam Neff did not survive in his Kalamazoo debut, with the 15-year-old losing to Sangeet Sridhar 6-4, 1-6, 6-1. After he won his first round match yesterday, Sridhar was expecting a tough battle today after his previous encounter with Neff this spring. "We played in Boca, two months or three months ago in a playoff for Team USA," said Sridhar, a 16-year-old from Arizona. "I won 7-6 in the third. We've always had really close matches. I knew I had to be ready to play Adam and I'm glad to get through it." Sridhar said the second set score was the result of too much passive play. "Second set, my energy level dropped, and mentally I lost a little bit of concentration, and I wasn't finding the ball," Sridhar said. "Even in the first set, I was playing too much defense and he was really controlling the points. I had to figure that out in the second set, and though it really didn't come through for me, but I had a third set, and I got 10 minutes." Sridhar consulted his coach, Lou Belkin, in the time between sets, who reminded him how he needed to play. "He said pick up your footwork and concentrate the whole set," said Sridhar. "I think that's exactly what I did. I started to play my game more, play more aggressive and I got in control early and that's what I needed." Sridhar, the only player on the Team USA National Team for those born in 2000 and 2001 who was not seeded, said he didn't give that too much thought. "I wasn't seeded, but if you want to win the tournament, you've got to beat the best players," Sridhar said. "It is what it is and there's not much you can really do about it. You just have to go out and play." In addition to Neff, two other top 16 seeds were beaten with No. 11 seed Jake Sands falling to Harry Cacciatore 6-1, 2-6, 6-4 and No. 14 seed Bradley Frye losing to Andre Xiao 6-3, 6-0. In addition to Zink, those seeds in the 17-32 range losing were No. 30 Steven Sun, who lost to Leighton Allen 6-2, 6-1; No. 22 Eric Hahn, who lost to Jordi Redelijk 3-6, 7-5, 6-3; No. 26 Nevin Arimilli, who was beaten by Siddharth Chari 7-5, 6-4 and No. 25 Maximilian Wild, who retired trailing 6-3, 3-1 to Spencer Whitaker. 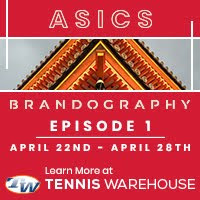 Just as Friday in the 18s, the top seed in doubles went out today in 16s, with Jake Sands and Brandon Nakishima falling to Zachary Elliott and Danilo Kovacevic 0-6, 6-4, 12-10. The only other seeded team to lose was No. 10 Micahel Sun and Sean Wei, who were beaten by Andrew Branicki and Thomas Jahn 5-7, 6-4, 10-8. 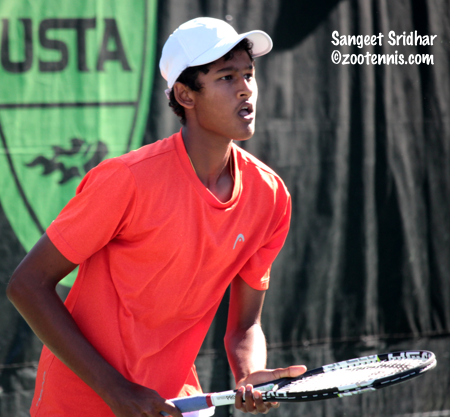 The third round of 18s doubles were played Sunday evening at Western Michigan University, with another shocker on the heels of the exit of top seeds Michael Mmoh and Nathan Ponwith on Friday. No. 2 seeds Vasil Kirkov and Sebastian Korda were beaten by Matthew Gamble and Sam Turchetta 3-6, 7-5, 10-8. For complete results, see ustaboys.com. After going a frustrating 0-5 in ATP Challenger finals, 2015 Kalamazoo 18s champion Frances Tiafoe got his first title today at the $100,000 tournament in Granby Canada. Tiafoe breezed past unseeded Marcelo Arevalo of El Salvador 6-1, 6-1 in 47 minutes, never facing a break point. Tiafoe will move to 123 in the ATP rankings and is virtually assured one of the US Open main draw wild cards given his performances this summer, which include three Challenger finals. At the $25,000 Fort Worth women's Pro Circuit tournament, qualifier Caitlin Whoriskey won her second career singles title, beating No. 2 seed Tara Moore of Great Britain 6-0, 6-4. The 28-year-old former Tennessee Volunteer won eight matches in eight days. The doubles title went to unseeded Connie Hsu of Taiwan and Chanel Simmonds of South Africa, who beat No. 3 seeds Jacqueline Cako and Danielle Lao 6-0, 6-4 in the final. At the $25,000 Futures in Decatur, Illinois, recent USC graduate Roberto Quiroz of Ecuador won his third Futures singles title of the year, saving match points to defeat Marc Polmans of Australia 6-0, 3-6, 7-6(6). Quiroz trailed 4-0 in the third set and 5-0 in the tiebreaker, according to Bobby Knight of College Tennis Today. The doubles title went to Jared Hiltzik and Rhyne Williams, who beat Nathan Pasha and Dane Webb 6-0, 6-1 in the final. Both teams were unseeded. At the $50,000 ITF Women's Circuit event in Granby, former UCLA star Jennifer Brady, the No. 3 seed, defeated No. 6 seed Olga Govortsova of Belarus 7-5, 6-2 to win her second title of the year. 2015 NCAA singles champion Jamie Loeb and An-Sophie Mestach of Belgium won the doubles title, with the top seeds beating Julia Glushko of Israel and Govortsova 6-4, 6-4 in the final. In ITF junior play this week, No. 3 seed Katya Townsend won the ITF Grade 4 in Mexico, defeating Rut Galindo of Guatemala, the No. 2 seed, 6-2, 6-4 in the final. It is the 16-year-old's second ITF title, the first coming last year at a Grade 5.